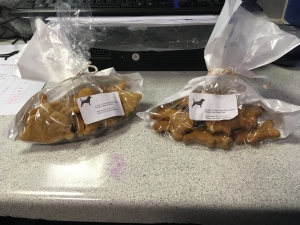 Year 10 Business Studies students were demonstrating their entrepreneurial skills at local primary schools selling Christmas treats for dogs last week. They are raising funds for Hope House Children's Hospice as part of a £10 challenge. Claudia, Sophie, Orla and Hugo have raised over £75!